IT’S TRULY INCREDIBLE what a coat of bright paint can do. Even the darkest, most depressing towns can turn into cheerful and charming places when brightened up by some lively colors. So, if you want to turn your frown upside down and find peace and quiet, visit the following under-the-radar, colorful towns. They are sure to tickle you pink and make your friends green with envy. The capital of Newfoundland and Labrador, St. John is one of the oldest cities in North America, having served as a seasonal landing for European fishermen in the mid-16th century. 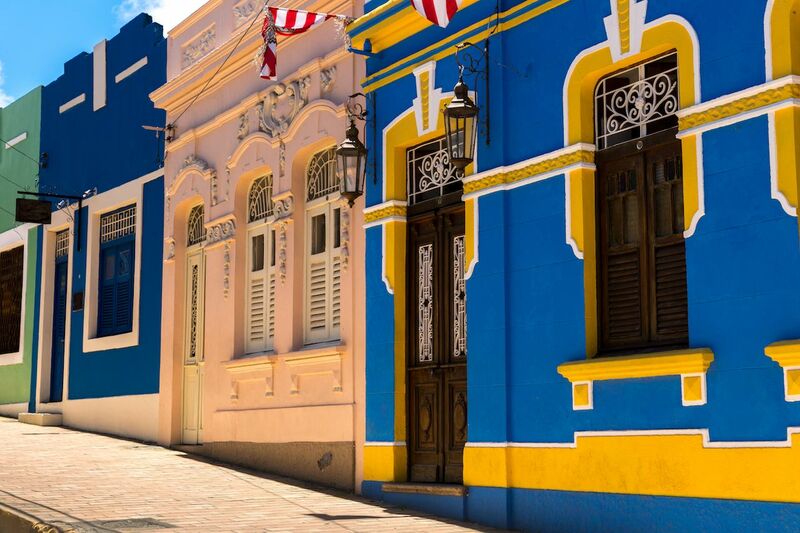 The St. John Heritage Foundation takes the city’s history seriously, and that includes maintaining the vibrant colors of the houses of the city’s over 200,000 inhabitants. Many houses were originally painted with the same bright paint used to demarcate ships on the blustery open waters, and these bright hues soon became emblematic of the city’s quirky personality.